What Not To Eat For Losing Belly Fat? 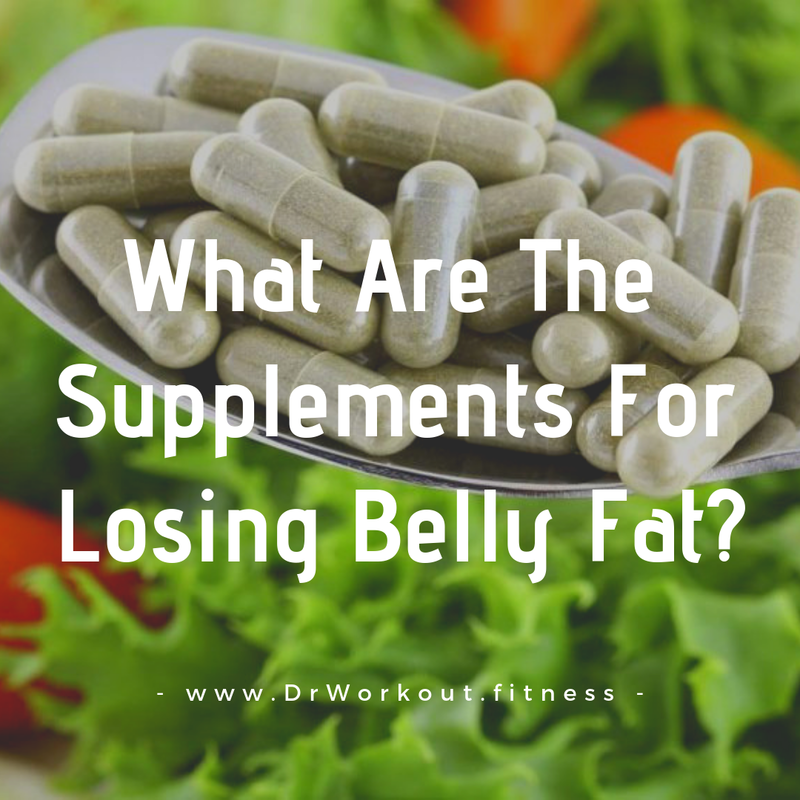 What Are The Supplements For Losing Belly Fat? 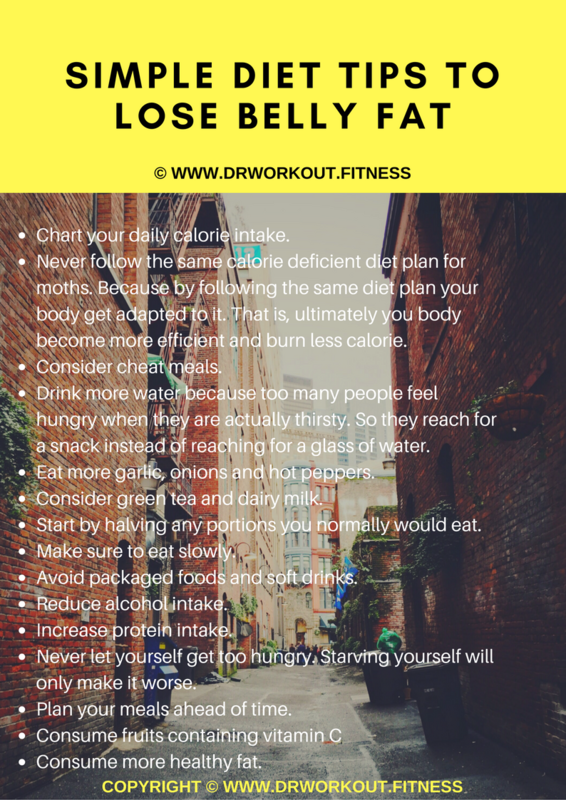 Reducing belly fat is not a small deal. Things not may change even if you are going to gym or yoga classes every day. You can exercise all you want, but if you are not following a good diet, you won’t be making headway as quickly as you possibly could. It has been shown that proper nutrition is at least 50% of the battle towards effective and long-lasting fat loss. In fact, the items below cannot be considered a “diet”. Diets are temporary. These changes must become habits that stay with you forever. The fat at your belly region is very dangerous. 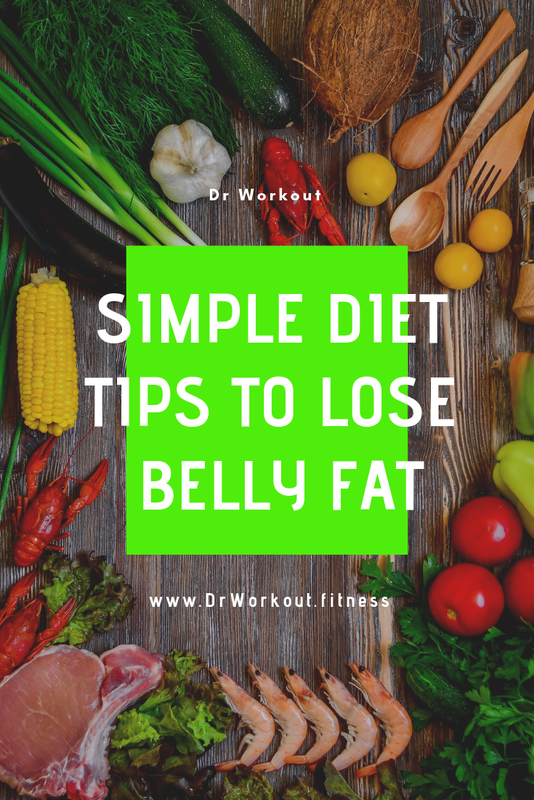 Belly fat is the major cause of type 2 diabetes and heart diseases. You may use our Body Mass Index Calculator (click on the link to check your BMI) to determine whether they are overweight or not. But do not blindly believe on BMI. Because it can not differentiate between fat and muscle mass. People with healthy BMI can also have high belly fat. If you aren’t following proper diet, then what is the meaning of working out every day, it is pointless dude. Look lean bulking is a myth. If you want to put some muscle mass, then you should also raise your calorie intake along with protein. It will definitely lead you to fat gain. Fat gain is a must thing when you are bulking. Vloggers who are making videos about lean bulking are spreading lies. In my opinion you should consider a separate Abs day. 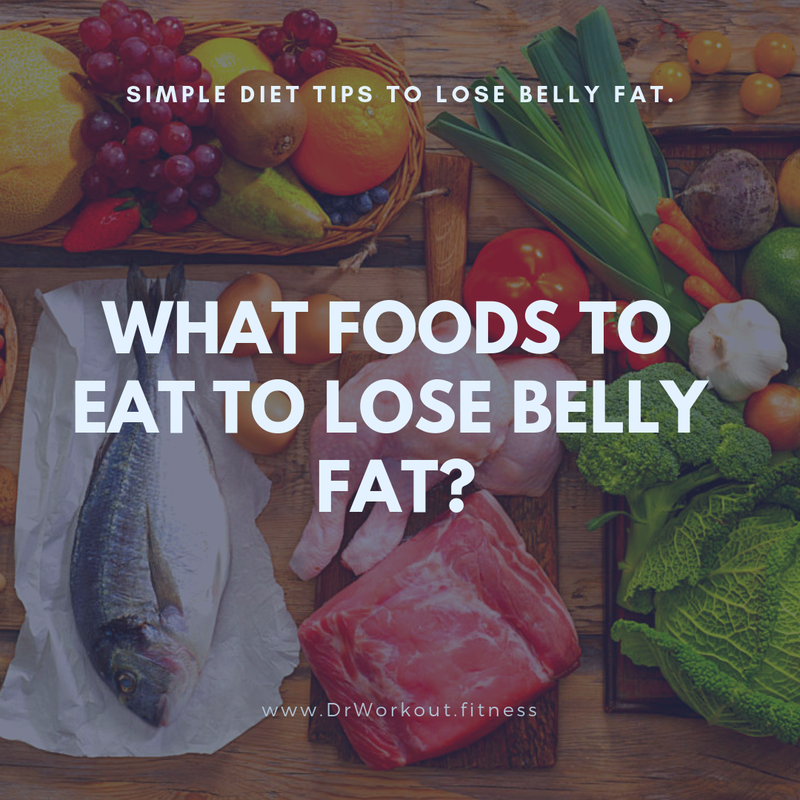 Because losing belly fat or tummy is more difficult than losing fat from any other body part. When adding foods into your diet, the trick is to replace the “bad” foods listed further down below. Just adding these foods without removing anything is simply adding calories that will increase your waistline. You can’t remember all the things that we are going to discuss about. So take pen and make a short note or book mark this page for future reference. You must watch your total caloric intake to keep it at an optimal level. Use our calorie intake calculator to determine recommended daily calories intake that will enable you to lose 1-2 lbs per week in a healthy and sustainable way. Eat small amounts of high fibre foods that contain both soluble fibre and non-soluble fibre. Both types of fibre help keep you feeling full longer. Good choices include legumes and vegetables. Nuts such as hazelnuts, macadamia nuts and almonds contain higher levels of mono-unsaturated fats. These fats are proven to help reduce belly fat. Just remember that these nuts are power-houses of nutrients, so keep the portion size small. Doubling or tripling your protein intake can actually help you lose more fat per pound lost than those who simply eat the recommended amount. If you increase protein intake while adding muscle-building exercises, you will ramp up your metabolism. And remember – muscle burns fat, even when you are at rest. When choosing fats, choose those nuts which are less processed and cold-pressed from nuts, olives or coconuts. Good nut oils can include safflower oil, sunflower oil, or sesame oil. It may sounds strange, but science proves that eating small amounts of healthy fats will help you lose belly fat. Tip: You should change your calorie intake and diet plan frequently. Because by following the same diet plan your body get adapted to it. 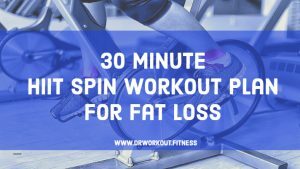 Which will results in burning less fat and your body become calorie efficient. So change your diet plan frequently and also consider cheat days. Oh yes. Chocolate. But it’s important to pick organic dark chocolate (minimum of 70% cocoa level). Eating a small amount of dark chocolate fifteen minutes before each meal can reduce your appetite and food cravings. Eggs are probably one of the most nutrient-dense foods available. Two small eggs can keep you feeling full for quite a long time, while at the same time giving you the nutrients that help the body run efficiently. Recent studies have shown that dairy actually helps a body to lose fat. Scientists now believe that milk helps the body use calories to build muscles as opposed to storing it as fat. Good dairy choices include full fat, skim, raw and organic milk. Not only does green tea contain caffeine, which can help increase metabolism, it also includes something called Epigallocatechin Gallate (EGCG). EGCG is also proven to boost metabolism. 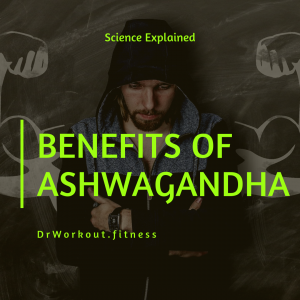 It does this by releasing the fat stored by the body and making it available as energy. Items such as bulgur, barley, steel cut oats, farro, and quinoa not only provide protein, and fibre, they are also nutritional powerhouses and can help provide the nutrients you need to optimize your metabolism. Many fish contain Omega-3, which is something often lacking in modern diets. By eating fish with higher amounts of Omega-3, you are better regulating a hormone called leptin, which can help you feel satisfied much longer. Add in a small amount of complex carbs at each meal. These could include sweet potatoes, root vegetables, legumes, and whole grains. These types of carbohydrates help regulate blood sugar which, when regulated is thought to play a vital role in reducing abdominal fat. Carbs also replenish glycogen levels in your muscles to give you more energy and stamina. Too many people feel hungry when they are actually thirsty. So they reach for a snack instead of reaching for a glass of water. These added calories can be avoided simply by making sure to drink at least 8 glasses of water per day. At least 25% to 50% of every meal should include vegetables. And it’s important to pick colourful vegetables. Not only do they add fibre and complex carbohydrates, they contain different kinds of antioxidants which helps the body burn fat. Foods, such as kimchi, yogurts, kombucha, miso, parmesan cheese, saurkraut and other fermented foods contain high levels of probiotics which helps with digestion. However, probiotics are also linked to an increased rate of weight loss. Chia seeds, pumpkin seeds or flaxseeds are nutrient-dense foods that help make you feel fuller, for longer periods of time. 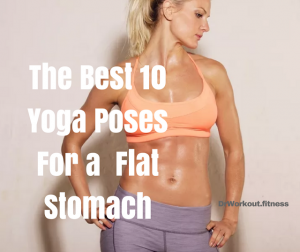 They also help increase the rate at which your body digests food. Onions and garlic both contain nutrients that speed up metabolism. Onions contain quercetin. Garlic contains allicin. And hot peppers contain capsaicin, which also boots energy and metabolism. All of these ingredients are shown to help the body work more efficiently when burning calories. Never let yourself get too hungry. Starving yourself will only make it worse. Plan your meals ahead of time making sure to incorporate all the good things that help you get slim and stay slim. These items can sabotage any efforts you’ve already made towards losing that belly fat. So as you adding the good stuff, make sure to focus on removing these items. 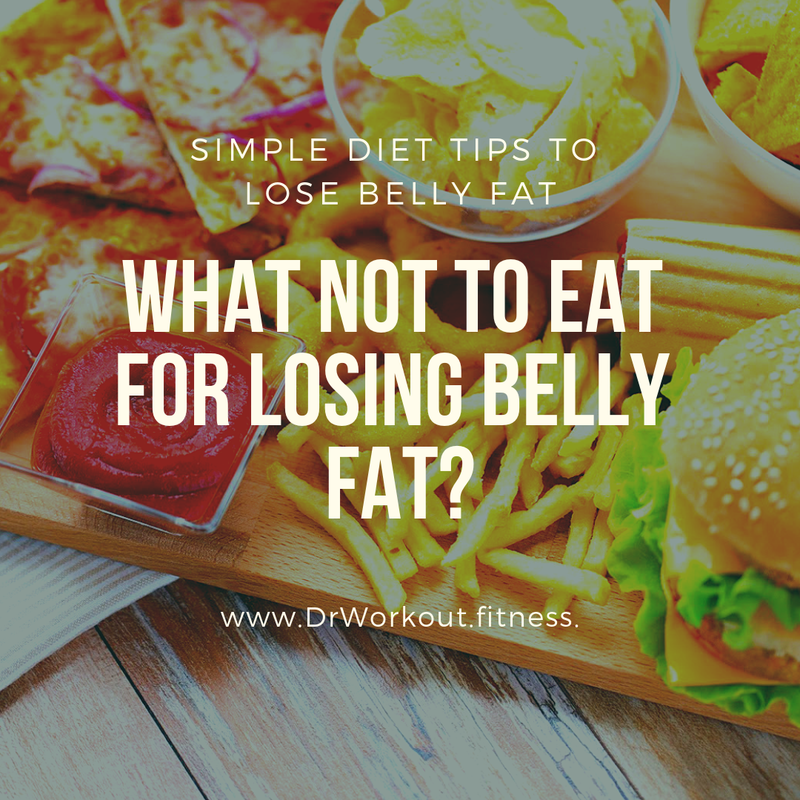 This is one of the biggest issues facing people with an abundance of belly fat. It’s very easy to overestimate the amount of food a person needs. Start by halving any portions you normally would eat and make sure to eat slowly. You and your body will adjust quickly to a smaller portion. Although once viewed as convenient and easy to make, these foods are now thought to be one of the major contributors of modern day obesity. Train yourself to read labels and remove any food that has an ingredient you can’t read. Limit good simple carbs, which includes fruits. Remove other simple carbs such as white flours and refined grains. These bad simple carbs can be found in items such as donuts, bagels, white pastas, white rice, cookies and biscuits. You will want to limit raw, natural sugars such as raw honey or rapadura. You will want to cut out all processed and white sugar, if possible. The latest research is showing us that too much sugar contributes to both weight gain and fat gain, which is often targeted in the abdominal region. This includes frozen meals or pre-made boxed dinners. Many convenience foods contain unhealthy fats and too many chemicals that our bodies simply cannot process efficiently. Remove as many convenience foods as possible. Fast foods are a quadruple hit: too much fat, too much sugar, too much salt and too many calories. Remove fast food from your diet. If you do end up going out for lunch or dinner, pick something from the appetizer menu, the children’s menu or offer to split your meal with someone else. Snacks can easily ruin an otherwise great diet plan. Although it’s normal to get hungry between meals, it’s also best to simply grab a few almonds or a small apple as opposed to a bag out of the vending machine. Almonds and apples are both high in fibre, which can help you feel full. Although once thought to be healthy, studies are now showing us that soy can increase oestrogen levels, which contribute to a larger layer of fatty tissue around the waist and on the hips. Studies have shown that Trans fats contribute to higher level of belly fat. In fact, it is proven they can actually redistribute fat from other areas of the body to the belly region. To find these types of fats on a label look for words such as shortening or hydrogenated oils and if you find them, put that item back on the shelf. Consuming these types of drinks will almost certainly make it difficult to lose belly fat. They are simply empty calories and have little to no nutritional value. The “beer belly” got its name honestly. Too much alcohol can definitely contribute to a larger waistline. Remove alcohol altogether if you’re in a fat loss mode. Once you hit your target size, you can start to add back in a little bit of alcohol, but keep it minimal. It’s always a good idea to get your nutrients from food choices. However, this is not always possible. There are times your body either needs or could make good use of some extra nutrition in the form of supplements. This vitamin helps the body properly burn fat stores. Since many people do not get enough vitamin C in their diet, it helps to add this in through a supplement. Adding in seaweed, such as kelp, spirulina and chlorella, has been shown to block fat absorption by up to 33%. These can be taken as a powder mixed in water or can be purchased in flat leaves that you can snack on. This is an amino acid necessary for the body to properly build muscles. 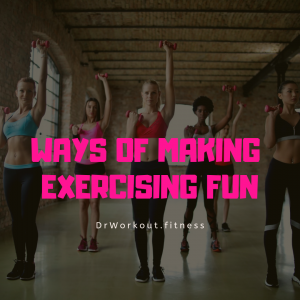 When the body is building muscle, it is using energy and burning calories at a higher rate than when the body is not building muscle. This mineral helps the body properly metabolize sugars through the regulation of insulin. When sugar is not being regulated properly, the body tends to store fat around the abdomen. This is a carotenoid that is derived from a type of seaweed. This carotenoid has been shown to prevent fat absorption. In fact, study participants who take fucoxanthin lost more than 6.5 kilograms more than the control group who did not add this to their diet. These are a type of fatty acids. Contrary to conventional belief, eating fat does not make you fat. In fact, adding healthy fats has been shown to help reduce the fat around the belly, on the hips and under the arms. One of the B-Vitamins, B12 is known to metabolize fat. Choline, another B-Vitamin helps to transport fat through the body. The other B-Vitamins, including inositol, help to process toxins in the body and assist the liver in flushing them. Green tea contains catechins. These catechins are responsible for the Thermogenic effectof green tea. Consuming green tea extract will keep your metabolic rate high. Chart your daily calorie intake. Never follow the same calorie deficient diet plan for moths. Because by following the same diet plan your body get adapted to it. That is, ultimately you body become more efficient and burn less calorie. Drink more water because too many people feel hungry when they are actually thirsty. So they reach for a snack instead of reaching for a glass of water. Eat more garlic, onions and hot peppers. Consider green tea and dairy milk. Start by halving any portions you normally would eat. Make sure to eat slowly. Avoid packaged foods and soft drinks. Never let yourself get too hungry. Starving yourself will only make it worse. 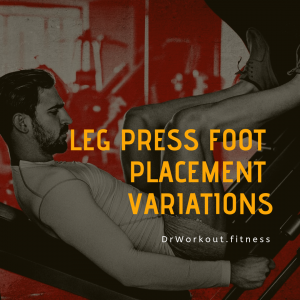 So there you go, feel free to share your thoughts, recommendations and tips below. Last and finally, if you found this article helpful kindly share it with your besties. Stay tuned for more updates..Cheers!